A clean, classic timepiece with minimalist stick indexes offers up some stylish edge with studded leather straps. 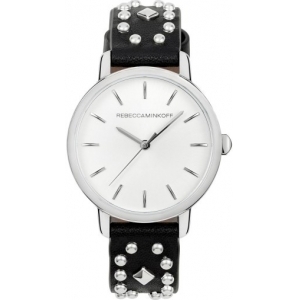 Style Name:Rebecca Minkoff Bffl Studded Leather Strap Watch, 36Mm. Style Number: 5233978. Available in stores.